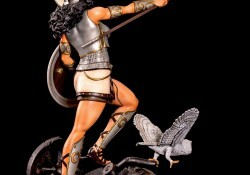 Athena was the Greek virgin goddess of reason, wisdom, arts and literature. 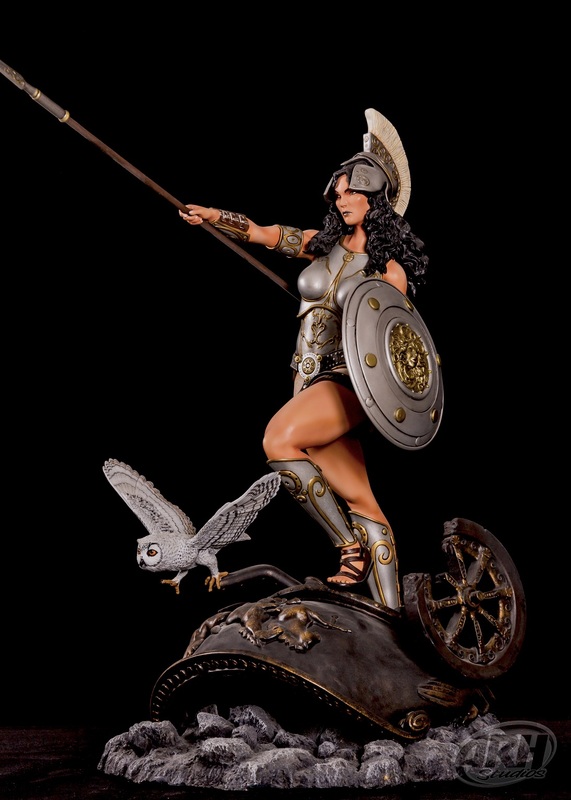 She was the daughter of Zeus; her birth is unique in that she did not have a mother. 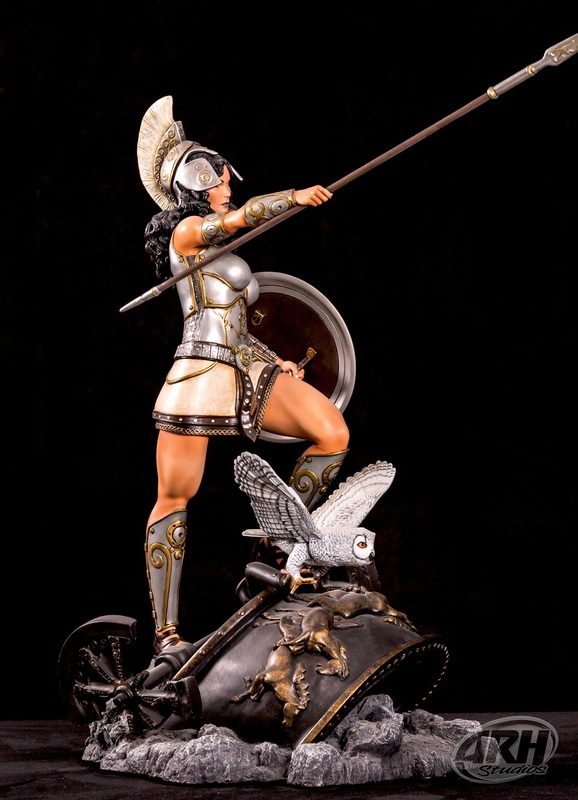 Instead, she sprang full grown and clad in armor from Zeus’ forehead. 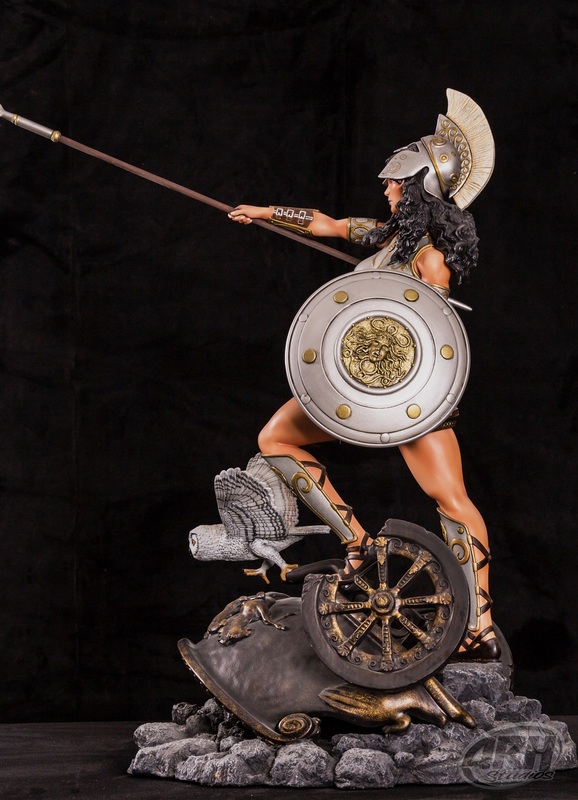 She was fierce and brave in battle; however, she only took part in wars that defended the state and home from outside enemies. 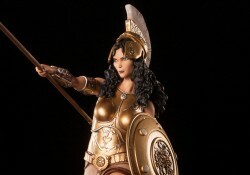 She became the patron goddess of Athens after winning a contest against Poseidon by offering the olive tree to the Athenians. 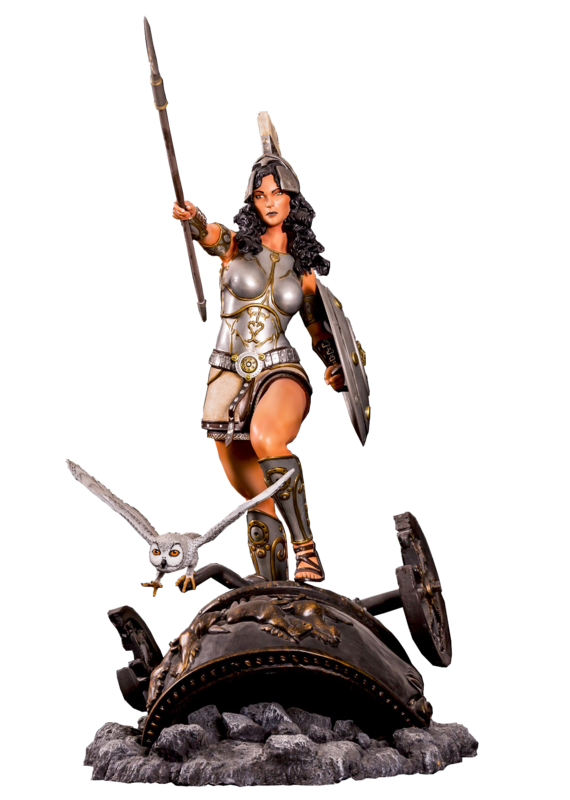 She is known most specifically for her strategic skill in warfare and is often portrayed as companion of heroes and is the patron goddess of heroic endeavor. 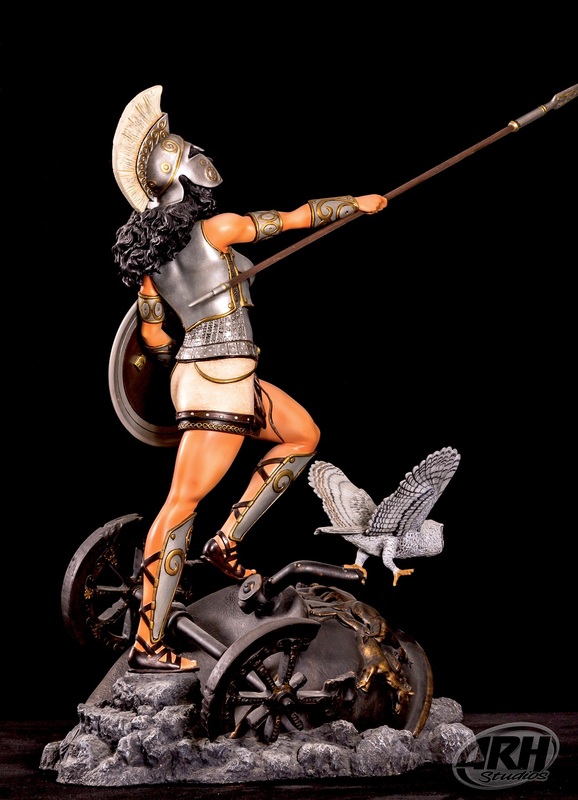 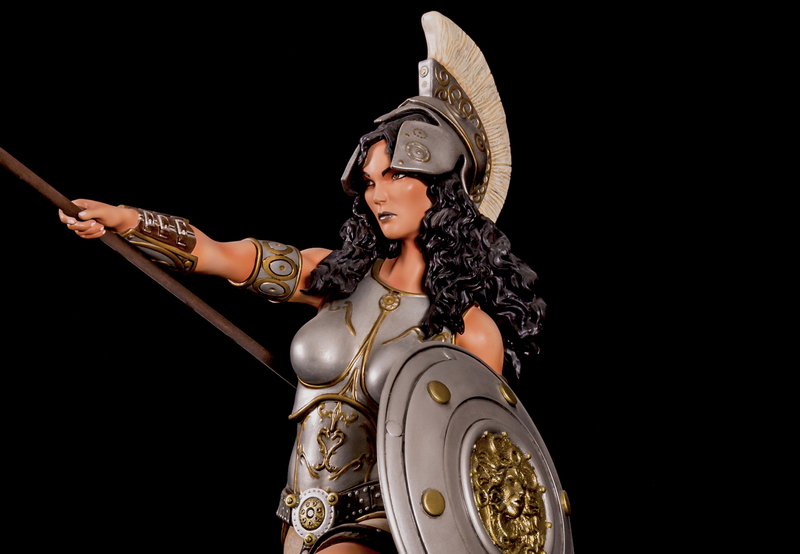 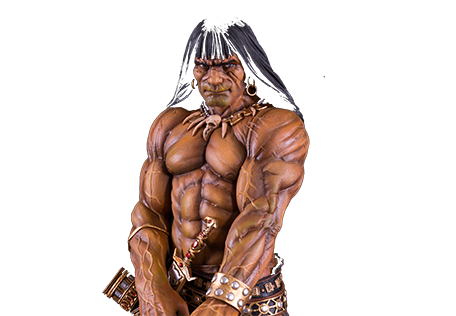 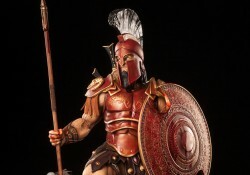 Sculpted by Alex Pereira and Arahom Radjah in this majestic 1/4th scale statue Athena stands over the overturned Ares chariot when both were fighting in the Trojan Wars. 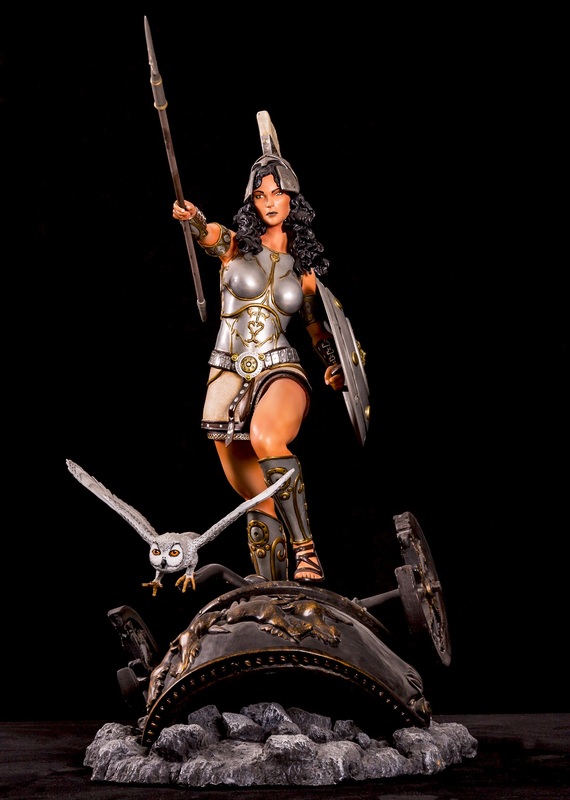 Athena and her pet owl make a magnificent display that enhances any Greek Mythology collection.